When they hear the word “Styrofoam”, most people think about disposable food containers or packaging material, but for one Japanese modular home manufacturer, it is the building material of the future. 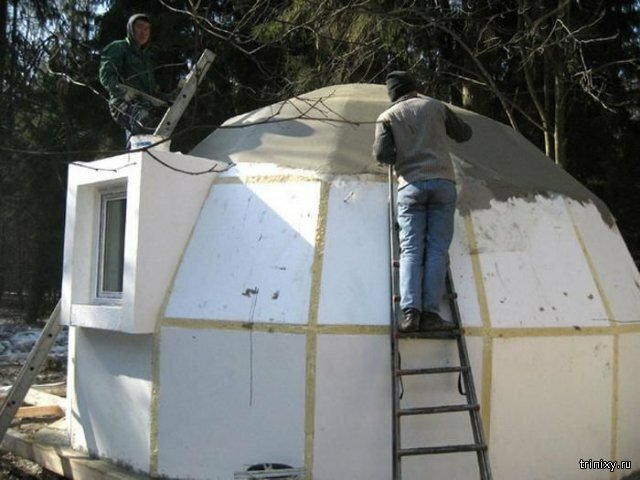 Its increasingly popular Styrofoam dome houses are highly earthquake-resistant, super cheap and quick to build, and have very high thermal insulating properties. What’s not to like? 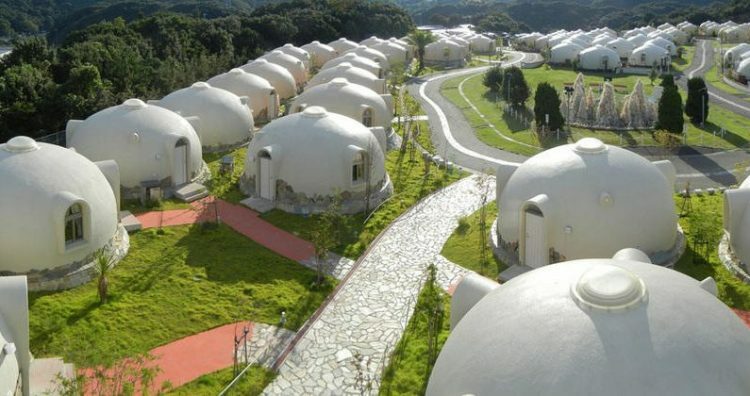 Japan Dome House has been selling Styrofoam houses in Japan for the last 15 years, but it was last year that demand for the ultra light housing skyrocketed. In April 2016, Japan’s Kumamoto prefecture was hit by a magnitude 7.0 earthquake that killed 49 people and injured another 3,000. Over 44,000 people were evacuated from their homes, after they had collapsed or caught fire, with thousands of them still living in temporary housing. 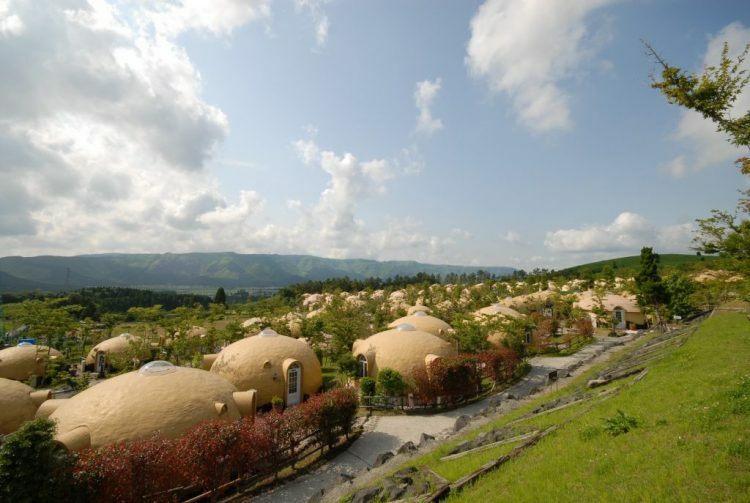 Structural damage to conventional buildings was reported both in Kumamoto and the neighboring Oita prefecture, but one place that didn’t suffer any damage was Kyushu’s Village Zone, a housing complex made up of 480 closely-packed dome-shaped houses built by Japan Dome House. The Japanese company had been preaching about the resistance of its lightweight Styrofoam homes to earthquakes, for over a decade, but it was last year’s Kumamoto disaster that finally convinced people that it was more than just marketing. The ultra-lightweight Styrofoam pieces that are glued together to create a dome house only weight about 80 kg, which combined with its shape and the lack of a need for posts and beams just makes it very sturdy to strong earthquakes. 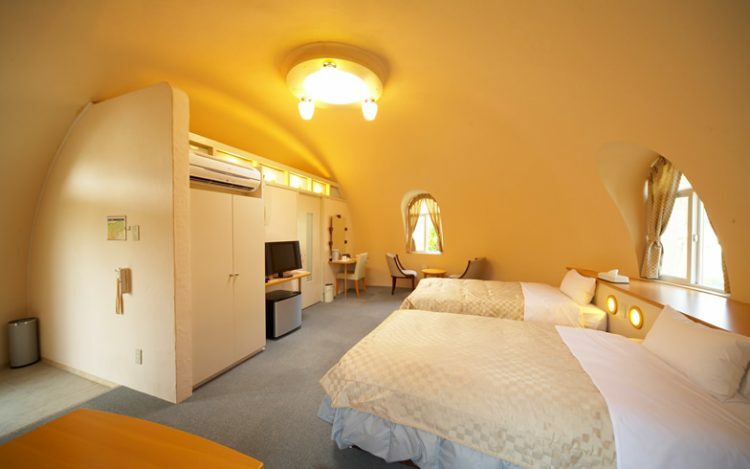 A dome house can be put together in just one week by a team of three people, using modular pieces, and the price is between ¥7 million and ¥8 million ($68,700 and $78,500) for a house with a floor space of about 36-sqm (387-sqft) and a ceiling height of 3 meters (9.8 feet). Since Styrofoam does not rot or rust and is not at risk of termite infestation, these dome houses are considered very durable. Another advantage of Styrofoam dome houses is that they are highly customizable, allowing owners to put their own unique touches on them. They can be used as permanent residences, guesthouses or even small hotels. Because they are easy and cheap to build, they can also be used as temporary housing in case of disasters. 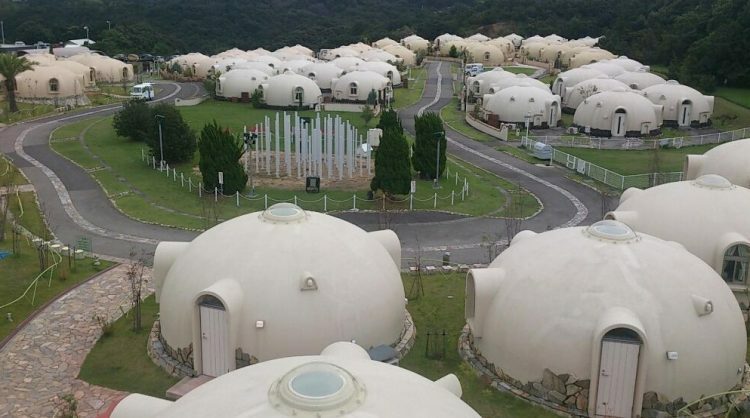 Japan Dome House claims that it sells around 100 Styrofoam houses a year, throughout Japan.